Satellite imagery proves itself as a strong alternative to aerial photos for the remotely located Faroe Islands. DHI GRAS has contributed to a new topographic map of the Faroe Islands, published by Styrelsen for Dataforsyning og Effektivisering (Danish Agency for Data Supply and Efficiency) and the local Faroese authorities. Based on our in-depth knowledge and experience with satellite imagery, we have provided updated and cost-efficient satellite imagery data fitting the needs of the new topographic maps covering Faroe Islands. In Denmark, data collection typically takes place on the basis of aerial images. 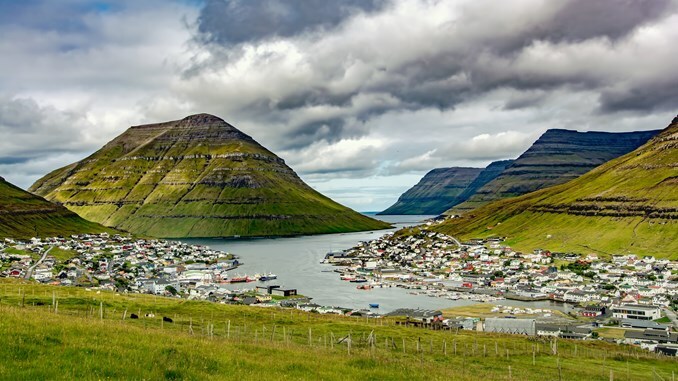 However, in the Faroe Islands, the weather is very changeable and it can be difficult and costly to get a complete coverage of the Faroe Islands with new images during a single summer. With satellites it is possible to get detailed imagery whenever there are gaps in the clouds, and without having to mobilize aircrafts and personnel to the remote location of Faroe Islands. The new topographic map is in scale 1:20,000 and can be accessed via Kortforsyningen.dk.